Late last week Ubisoft officially announced Operation Burnt Horizon, the Australian-set first season of Rainbow Six Siege’s fourth year of content. 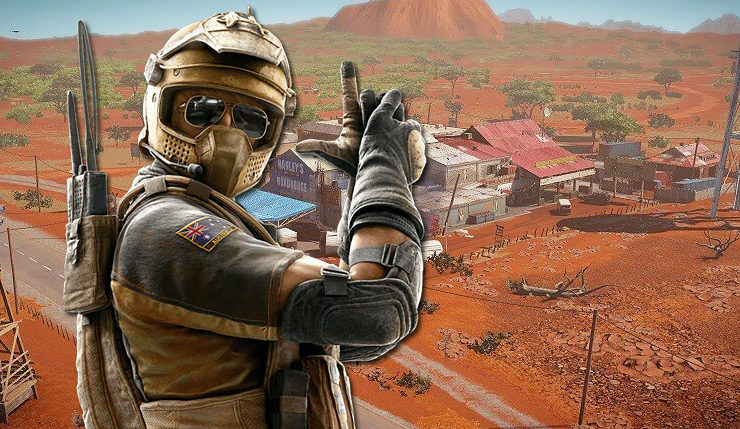 It was teased the season would include a new Outback battleground, and now Ubisoft has provided a first look at the map. Set in and around an Outback pit stop, it looks like the new map will provide plenty of room to roam and engage in the occasional cowboy showdown – check it out for yourself, below. “We divided the map into three distinct sections – the Garage, the Motel, and the Restaurant – and put a lot of effort into making sure each section is recognizable, even from far away. There are specific colors for each section, and we used lighting and geometry to direct the player’s gaze to where they need to go. Rainbow Six Siege is available on PC, Xbox One, and PS4. More information about Operation Burnt Horizon will be delivered during the Six Invitational in Montreal on February 17.